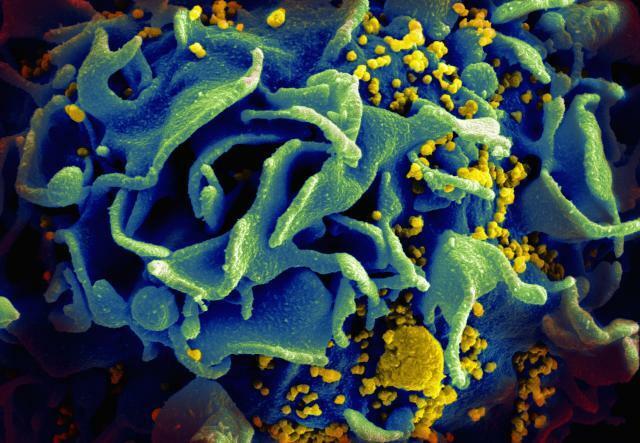 A new HIV vaccine candidate appears to have cleared the infection in monkey test subjects. Nine out of 16 monkeys afflicted with SIVmac239 – a particularly lethal strain of the AIDS-causing simian immunodeficiency virus (SIV) – exhibited no trace of the virus after inoculation. Researchers believe that further development could lead to human trials within the next two years. While the infection has been cleared in human patients in the past, such outcomes are extremely rare. Louis Picker, associate director of the OHSU Vaccine and Gene Therapy Institute, said that the few recorded cases invariably involved stem cell transplant or very early treatment. "To date, HIV infection has only been cured in a very small number of highly-publicized but unusual clinical cases in which HIV-infected individuals were treated with anti-viral medicines very early after the onset of infection or received a stem cell transplant to combat cancer," he said in a press release. "This latest research suggests that certain immune responses elicited by a new vaccine may also have the ability to completely remove HIV from the body." The reason the body cannot clear HIV on its own is the virus’ ability to trigger an insufficient immune response. This allows the infection to evade T-cells and other key components of the body’s defense. Despite the immune system’s best efforts, the virus persists. The new vaccine supplements the inadequate immune response by introducing the cytomegalovirus (CMV) – a common infection carried by a large percentage of the world’s population. Engineered to express key SIV proteins, this second viral agent boosts the body’s defense by establishing a continuous source of “effector memory” T-cells. These cells then track down and eliminate SIV-infected cells throughout the body. "Through this method we were able to teach the monkey's body to better 'prepare its defenses' to combat the disease," explained Picker. "Our vaccine mobilized a T-cell response that was able to overtake the SIV invaders in 50 percent of the cases treated. Moreover, in those cases with a positive response, our testing suggests SIV was banished from the host. “We are hopeful that pairing our modified CMV vector with HIV will lead to a similar result in humans," he added. That said, the CMV agent must first be rendered unequivocally safe by continued research. In addition, the researchers will investigate why the vaccine only cleared the infection in some of the SIV-positive test subjects.